According to the U.S. Department of Energy’s (DOE) National Renewable Energy Laboratory (NREL)’s U.S. Solar Photovoltaic System Cost Benchmark Q1 2017 report, the installed cost of solar fell to record lows last year due to the continuing decline in PV module and inverter prices, higher module efficiency, and lower labor costs. Utility-scale solar system cost alone grabbed headlines as costs fell nearly 30 percent last year. 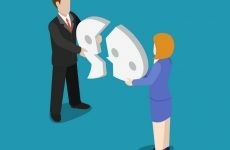 Thanks to the Trump Administration, however, we may see the first cost increase after a nearly seven-year decline in the installed cost of solar due to the new import tariffs placed on solar (30%) and steel (25%) earlier this year. Price-squeezing is nothing new in the solar industry, but the tariffs are putting additional pressure not only on module pricing but structural costs as well. And with field labor costs also on the rise, especially in states with union labor mandates, there is little to no room for margin growth. 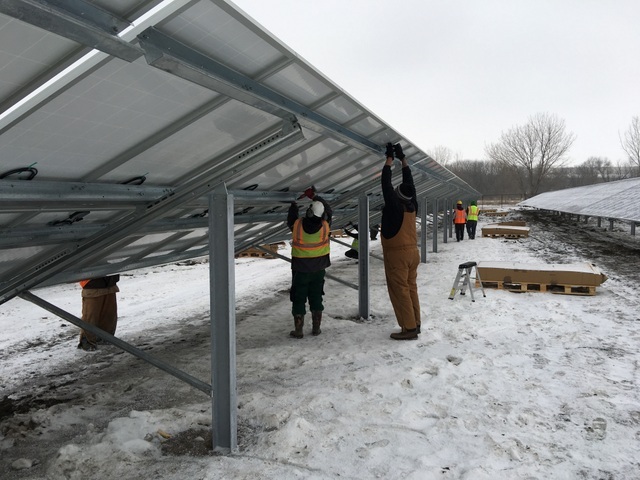 To meet customers’ ongoing efforts to reduce solar project costs, SunLink, a utility-scale solar mounting system and tracker company, is applying innovative engineering design and technology to shift the industry mindset from lowest cost, commodity components to value-add, smart tracker designs that deliver more intelligent energy. SunLink President & CEO Michael Maulick saw this opportunity when he took over the helm four years ago. As a long-time technology executive, Maulick was surprised to find the solar industry so fixated on “pounds of steel” as opposed to looking at design innovation as a means to create a better product. 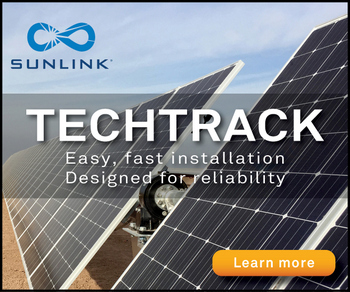 Every component in SunLink’s single-axis tracker TechTrack is designed to eliminate inefficiencies and optimize energy production. And when you’re operating in a tariff heavy business environment, shaving time off of hardware and soft costs like installation can contribute towards reducing your overall project costs. In less than two years, SunLink has installed more than 300 MW of trackers with customers responding positively to the company’s dynamic design approach for increased responsiveness in various environmental conditions, improving durability and reliability in the field. That approach has increased SunLink’s project range, from projects with higher wind conditions to projects with higher snow loads without increasing the steel requirement. 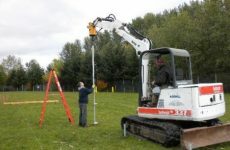 SunLink’s latest tracker enhancements are aimed at reducing field labor and installation costs. An additional design benefit of the improved pivot is the drop-in torque tubes feature, which eliminates the requirement for specialized jack equipment or a larger crew to hold the tubes in place. According to Trono, with improved durability of the pivot and bearing, the tracker components can also better withstand the rigors of construction crew handling on a project site. Another key reduction in installation time came from revisiting the slew arm design. A more streamlined design has eliminated the need for multiple or expensive custom tools and install kits that can sometimes add another $10,000 to a project. The redesigned slew arm can be installed with standard tools, reducing the number of components, labor time and additional expenses. 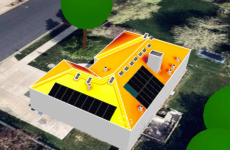 Feature enhancements like these may seem like small improvements, but the payoff is big when you consider the reduction in labor, installation time and overall solar project costs.